I’m a big fan of strawberry-rhubarb cobbler. It’s one of my personal comfort foods. You get the sweetness of the strawberries and the mild tartness of the rhubarb in the filling. Then there’s the light, flaky biscuit topping that crowns the filling. Finally, there is nothing as good as hot strawberry-rhubarb cobbler with a scoop of vanilla bean ice cream on top! 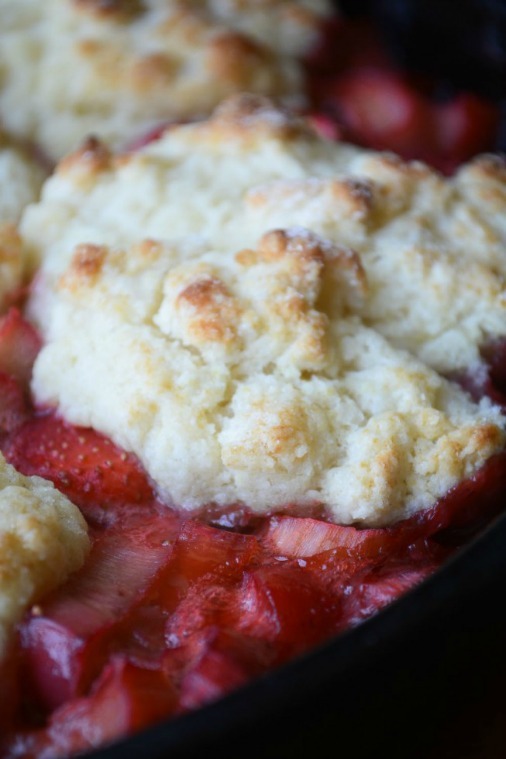 This is Sue’s recipe for strawberry-rhubarb cobbler. It’s one of those traditional desserts that’s really not difficult to make. She provides easy-to-follow directions for the filling and for the biscuit topping. It’s an excellent recipe! Click on the Homemade Strawberry Rhubarb Cobbler Recipe link below to see the complete recipe.